We know that DDS - De Danske Skytteforeninger - and the Danish local authorities often support these projects by covering quite a large part of the costs. We are happy to visit your company and suggest a solution in order to ensure that your new system meets all current norms. 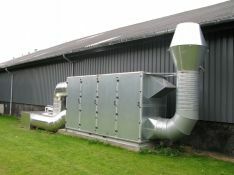 Having to comply with the new Danish rules on exposure levels (50 microgram of lead per m3 of air), many shooting associations must exchange their current shooting range ventilation system. As we all know, nitrous gasses, carbon monoxides, lead and other types of dust is liberated during shooting. Amongst others, we have provided ventilation systems that meet all the new maximum exposure levels, to Esbjerg Skyttekreds. John Skovgaard, chairman of Esbjerg Skyttekreds, had the following to say about the Prima-vent cooperation: “we have enjoyed a very good cooperation with Prima-vent with regards to installing a ventilation system. In 2006, we received their offer, and six months later the installation was initiated. Prima-vent has been a good sparring partner, identifying various issues and including them all the in their offer in a way that we would not have managed ourselves. They have always been readily available, and we have managed to solve all issues. As our shooting association relies solely on voluntary work, we have had to ask Prima-vent to be very patient with us - and they have been. The project was completed in 2009 within the financial limits of the initial offer. Having to comply with the new Danish rules on exposure levels (50 microgram of lead per m3 of air), many shooting associations must replace their current ventilation system. As we all know, nitrous gasses, carbon monoxides, lead and other types of dust is liberated during shooting. 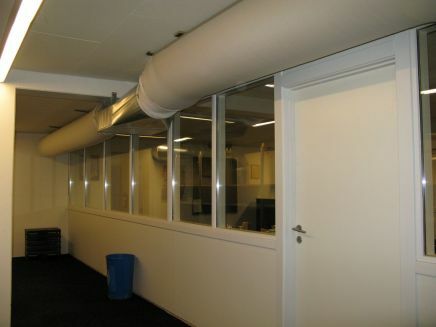 We have worked with several shooting associations on installing ventilation systems that meet the requirements put forward by De Danske Skytteforeninger (the Danish shooting associations) on correct injection and aspiration of air for the purpose of keeping the level of lead dust below the maximum exposure level.